When the California State Legislature chose to pass the bill, lawmakers sent a message to big cable and telephone companies that they are no longer willing to bend over backwards to protect incumbent monopolies that ignore their rural constituents. Other states with restrictions championed by national ISPs and their lobbyists need to take note of California's decision. Voters already believe that the federal government doesn't do enough to bring high-quality Internet access to rural areas. State laws that further restrict options add to their frustration. Kudos to you, California, for this step toward empowering local communities! View the law as amended by AB 1999. Read all the details of the bill in the final version signed by the Governor. 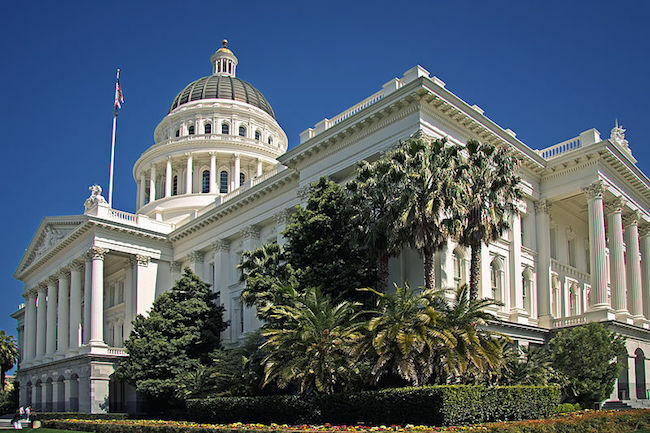 Image of the California Capitol in Sacramento by © Steven Pavlov / http://commons.wikimedia.org/wiki/User:Senapa.